Basic and Advanced Theta . . .
Theta Healing technique is a meditation technique utilizing a spiritual philosophy with the purpose of improvement in mind, body, and spirit while getting closer to the Creator of All That Is (our God has many names and we call him Creator). It is a focused prayer to the Creator and allows you to train your mind, body, and spirit to clear limiting beliefs and live life with positive thoughts, developing virtues in all that we do. Through meditation and prayer, the ThetaHealing Technique creates a positive lifestyle. The ThetaHealing technique is always taught to be used in conjunction with conventional medicine. It teaches how to put to use one's own natural intuition, relying upon unconditional love of Creator Of All That Is to do the actual “work.” We believe by focused prayer utilizing a “Theta” and "delta" brainwave (incorporating physics and quantum physics), you can actually witness the Creator Of All That Is create instantaneous physical and emotional wellbeing. We have learned that through the ThetaHealing Technique intuitive abilities can be used to bring about spontaneous changes and physical and emotional wellbeing. What to expect in this seminar? Basic DNA introduces ThetaHealing techniques and focuses on activating the 12 strands of DNA within each participant.ThetaHealing-Basic-DNA Students experience an opening to the Unconditional Love of the Creator. What do you gain by attending this seminar? Learn to co-create with the creator. Learn to find out the negative programs and the root cause that is causing the issue, release the programs and replace with positive ones and resolve the issue through the power of the Creator. Learn to heal yourself and others. Learn to open your psychic senses and balance your chakras and others. Learn how to practice the processes on self and others. The Advanced ThetaHealing® Course expands the information in the Basic Seminar to encompass an in-depth understanding of the Seven Planes of Existence that surround us. This class will provide Advanced Training in the Theta Healing technique. Further, your development as a practitioner by introducing several new techniques to expand and enhance your abilities as a Theta Healer and clear negative beliefs even faster than before with hundreds and hundreds of “downloads” which will raise your consciousness with joy and ease. Learn to trust yourself to see inside the body! • You want to strengthen your skills as a Theta Healing Practitioner. 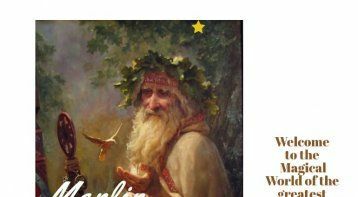 • You want to do “readings and healings” faster and more effectively. • You want to get to core beliefs thoroughly, quickly and easily. DNA Theta Healing Manual PLUS the book "Advanced Theta Healing" much anticipated by everyone and written by the esteemed Vianna Stibal (founder of Theta Healing). • Access “Downloads” directly from Source that will instantly work through your deepest blocks with ease. • Receive hundreds and hundreds of Downloads that will profoundly improve every aspect of your life. • Change hundreds or thousands of beliefs all at once with downloads. 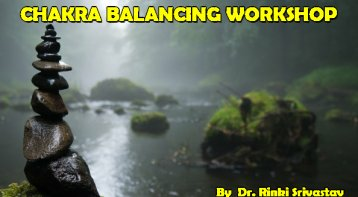 • Advanced tips, tricks, and techniques for improving your reading and alternative healing ability. • Open your psychic centers. • Get to the core of and transform fear, resentment, grudges, and addictions downloads. • Contact and communicate with your genetic ancestors and your higher self. • Receive profound healings for your Soul and Heart directly from Source. • Clear free floating memories (engram banks) from Surgery, Emotional, Mental, Physical, Sexual Abuse, War, Fainting Spells, O.D. or Trauma, etc. • Advanced understanding of the Seven Planes of existence and how to use them in healing and manifestation. • Heal and change broken souls. • Bend time to what you want. Make it faster or slower. • Release Fears, Rejections, Resentments, and Regrets. • Send Love and Protect the Baby in the Womb. • Talk to the Higher Self. • Do Belief work on Non-organic material. • Practice 'digging' for key beliefs. All ThetaHealing® seminars are internationally certified courses and enable you to practice anywhere in the world. This is one of the unique theta healing classes in Delhi that is packed with lots of knowledge and practical exercises, Divine Energies and of course lots of FUN.!!!!!!!!! NO Pre-requisite and NO Religious affiliation - Open to all. 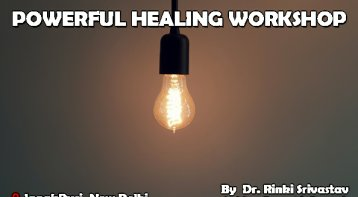 Dr Rinki Srivastav is an experienced Healer, Trainer, Therapist, Counsellor, Consultant, Guide, Motivational Speaker, Mentor and a Life Coach. She also provides motivational and inspirational boost helping people to un-complicate their lives. She is the Founder of 'Healed Life Foundation' (Holistic and Alternative Solutions) - that promotes alternative healing modalities to bring about the desired changes by understanding the intricacies of the journey of life by aligning your physical, mental, emotional, and spiritual well-being of past, present and future in harmony with oneself. She heals and supports the individual’s natural ability to heal at all the level- physically, emotionally, mentally or spiritually through the restoration of harmony & balance in their energy system and by facilitating them to live their lives to their fullest potential by connecting them to the power within. • Awarded Honorary DOCTORATE DEGREE by Indian Institute of Complimentary Medicine (IICM), Hyderabad. • Gold Medallist, Awarded as BEST REIKI HEALER by Reiki Healing foundation, London (U.K. Chapter) New Delhi (India) in 2005. Her mission is to heal and support the individual's natural ability to recover physically, emotionally, mentally or spiritually through the restoration of harmony and balance in their energy system and by facilitating them to live their lives to their absolute potential by connecting them to the power within them. "ttended Chakra Awakening HERBS.. phenomenal experience. All Chakras got healed, balanced, activated & aligned. Had an experience of kundalini awakening. Now in a very spontaneous and natural state of being - Sthir, Sehaj aur Shant bhav. Experiencing constant flow of energy to and from cosmic source. Experiencing automatic cleansing in the form of unwanted elements/toxins being released from crown Chakra and positive life energy is filling the void. It is something which is experienced rather then to be explained. Have been doing/practicing meditation for many years. Always expereinced some block at/above crown chakra between cosmic source and myself. Finally this block got pulled/penetrated with a bang and energy flow is now happening with utmost ease. Another innovative and path breaking program by Rinki%u2026 Trust, Respect, Gratitude and Love, Thanks Rinki"
"Master your own destiny. 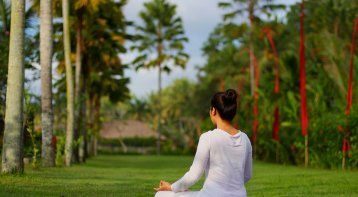 With even a basic understanding of Theta Healing and how beliefs are formed, you can start to see your life patterns - in relationships, in work, in the way you think -"
"I attended Theta Healing Basic and Advanced workshops with Dr Rinki in November 2017. This intense workshop has introduced me to a healing modality which helped to identify a positive approach to my life. I learned techniques to manifest my dreams and release all the negative blocks affecting my day to day life. A positive shift has come in me after the workshop. A big big thanks to Dr Rinki." Extraordinary Workshop for Healing Medit. 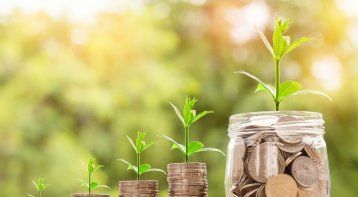 . .
Money Workshop MAPS - Money Abundance Pr. . .
Workshop on Chakra balancing: Feel extre. 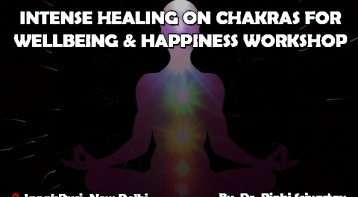 . .
7 Days Intense Healing on Chakras for w. . . 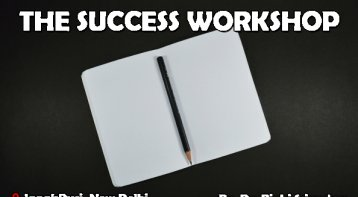 The Success Workshop - You are born to w. . .
7-Day Powerful Healing + 1-Day Ancestors. . . Please call our expert, Mrs. Priya Kaul, on 9899361970. Please note that our experts accept calls between 10 a.m and 7 p.m only.